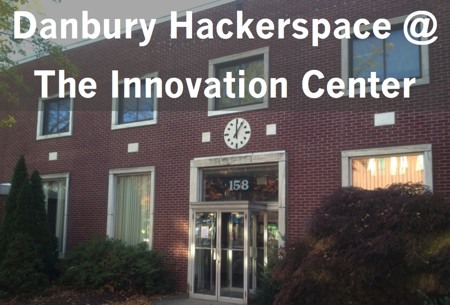 The Danbury Hackerspace @ the Innovation Center is a hackerspace and coworking facility at 158 Main Street, connected to the Danbury Library. The City of Danbury has graciously provided the space to help launch the hackerspace and build a community of entrepreneurs, makers, craftspeople, & artists. We are now open for membership! Come to our free weekly open house on Thursday nights from 7-9pm (except major holidays). If you’re interested in learning more about the Danbury Hackerspace, follow us on Twitter, Like us on Facebook, or see our events on Meetup.